Students learn some useful instrucionts. This printable, downloadable handout is intended for high school students and elementary school students at Elementary (A1) level. 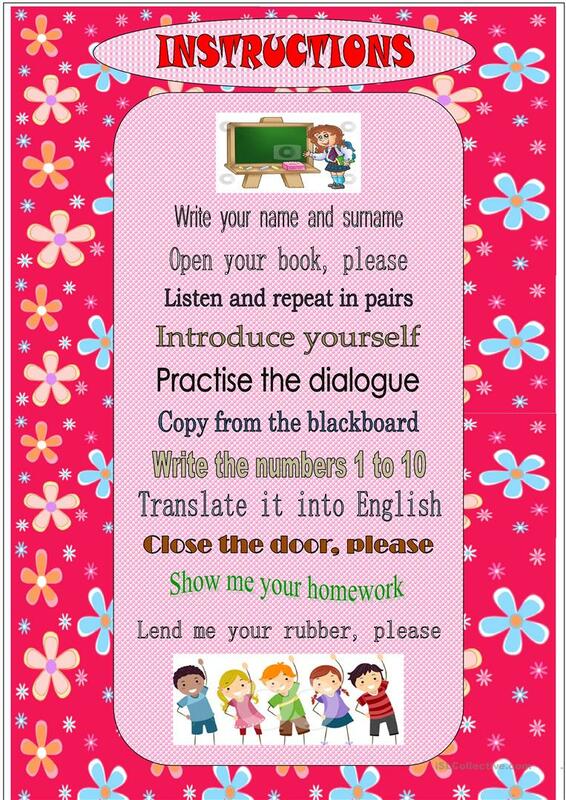 It is useful for strengthening your pupils' Speaking, Reading and Writing skills.